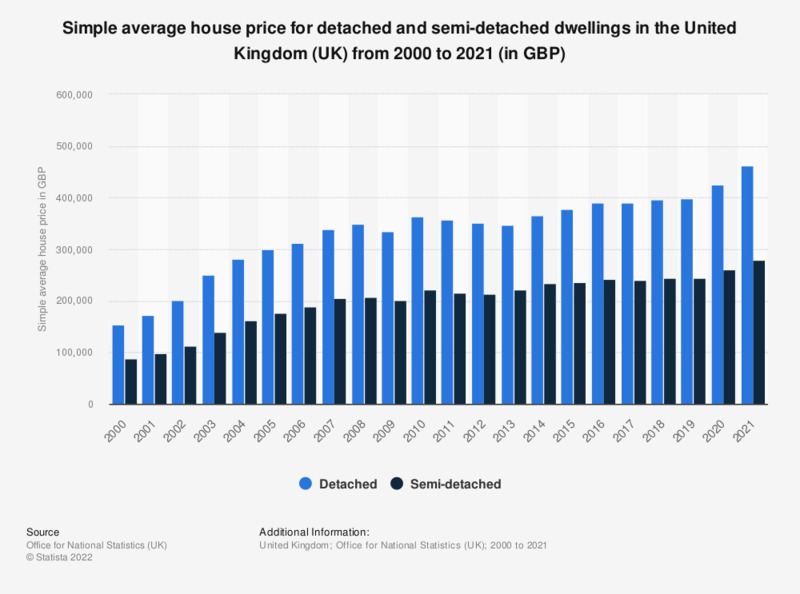 This statistic illustrates the simple average house price for detached and semi-detached dwellings in the United Kingdom (UK) from 2000 to 2017. It can be seen that the simple average house price for detached and semi-detached dwellings increased overall during the period under observation, reaching a value of 390 thousand British pounds for detached dwellings as of 2017. The smallest value for the simple average house price of semi-detached dwellings since 2010 was found in 2012, when an average price of semi-detached dwellings of 214 thousand British pounds was recorded.